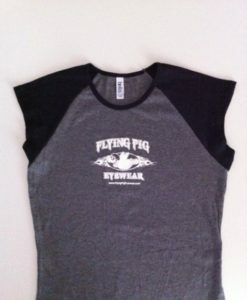 A Letter From Shannon Estep, Owner and DESIGNER of Flying Pig Eyewear. Flawless unobstructed vision is one of the most important safety factors in riding your motorcycle. When you learned to ride your motorcycle you quickly discovered there are many things that can affect how you ride, oncoming traffic, highway conditions and wind! 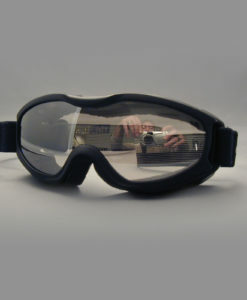 Wind speeds over 25 mph are a major problem without appropriate eyewear regardless of riding behind a windshield. The windshield may deflect the wind but its height and pitch determine the influence it has on you as a rider. Your passengers are also affected by wind. Often your passengers are sitting higher than you the driver and are experiencing wind deflected off you directly into their face. This is why on the highway you notice passengers hiding behind the motorcycle’s driver. They are not able to bear the wind at speeds of 65 mph; their eyes are tearing up and their contacts are drying out (sometimes even falling out). Passengers just are not enjoying the ride. All because of wind! 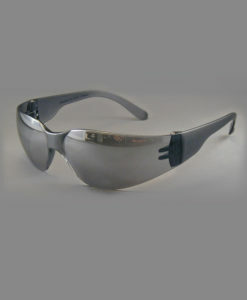 The law states that motorcycle riders must wear protective eyewear, however everyday eyewear, such as sunglasses, do not provide enough protection from the wind. 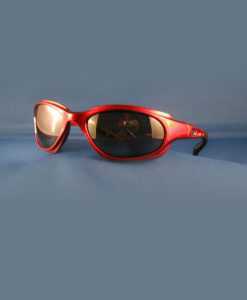 Not to mention there have not been options for fashionable prescription wraparound sunglasses that would allow both driver and passenger to see clearly and fully enjoy the ride. 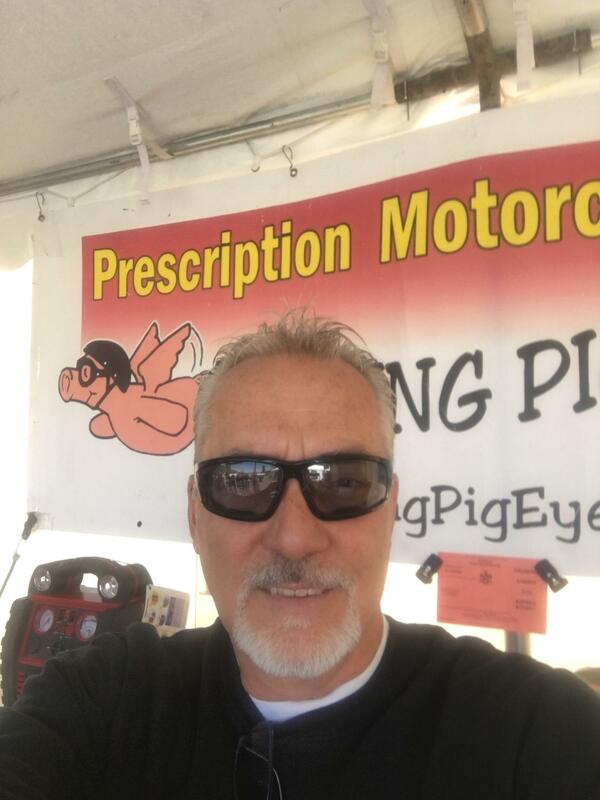 Flying Pig Eyewear recognized the need for both a functional and fashionable pair of prescription glasses to block the wind for motorcyclists. 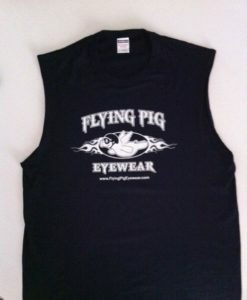 We have several styles available and are continually in search of new styles to fit all sizes and shapes of faces. 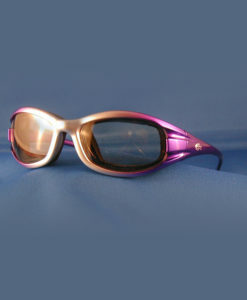 Removable foam inserts (available in many styles) ensure your glasses versatility by allowing you to use them as sunglasses as well, just by removing the foam! I have been working on many fashionable ladies’ solutions for many years, to accommodate their various features and cosmetic needs. 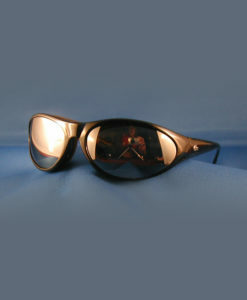 Small featured women have had almost no choice of eyewear that looks good and still blocks wind. I have designed a smaller frame to help (GS-250). 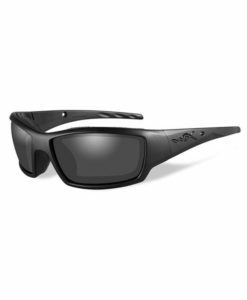 It is available with a removable foam insert that contours to the face and seals out the wind, and has small vents to prevent steaming and fogging of the lenses. 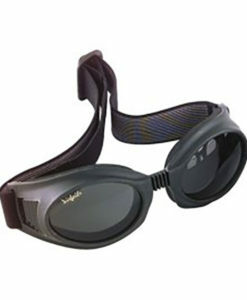 The insert is removable so the glasses can be worn with or without the foam. This frame is available in many colors. 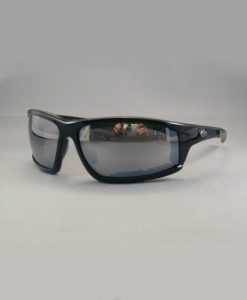 We are continually looking for styles that provide protection – yet are stylish as well. We are excited about new lens technology to accommodate higher Rx’s! We have many delighted customers wearing prescription goggles and riding tear free who previously had no alternative other than clumsy fit-over goggles! Stop by and give us a try!